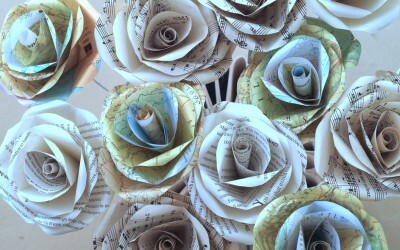 For a while I have added envelopes to the list of things I don't throw away! 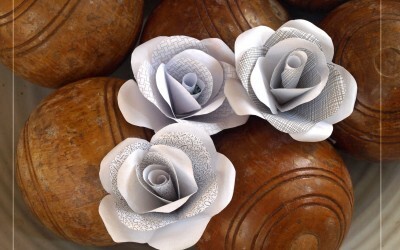 I am so happy with the way they have transformed into buttonhole roses! 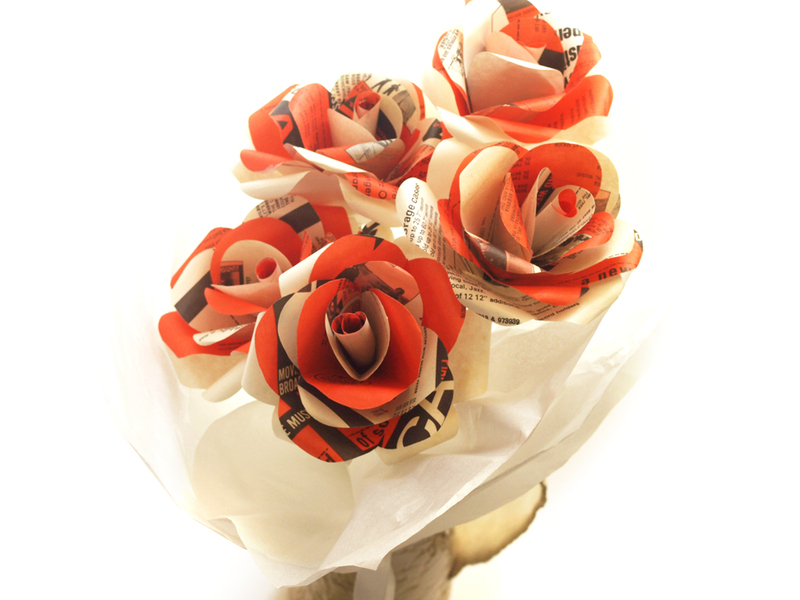 We can make these up for your function too - but we may need help with the envelope collecting! 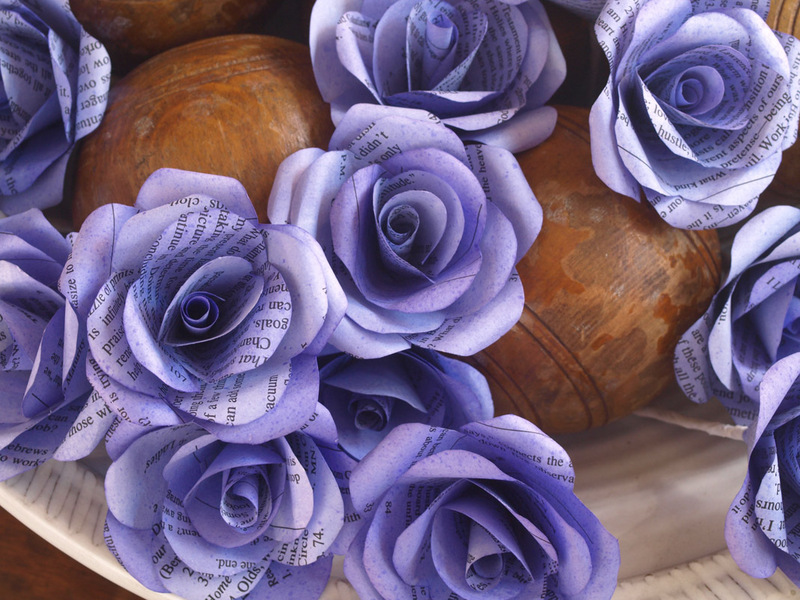 Envelope Roses! 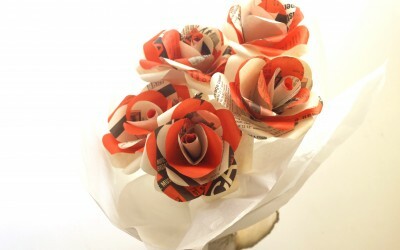 Delivered earlier this week - for a delightful lady. 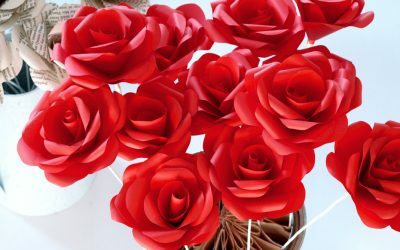 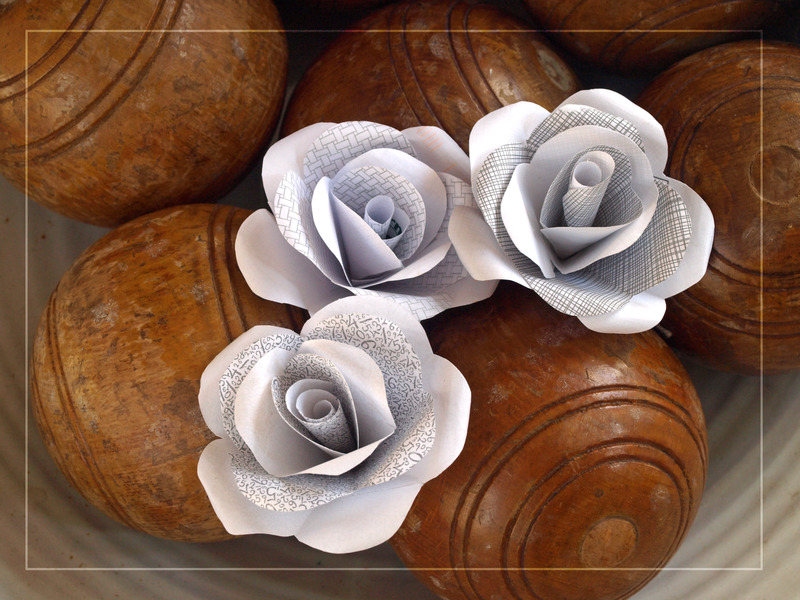 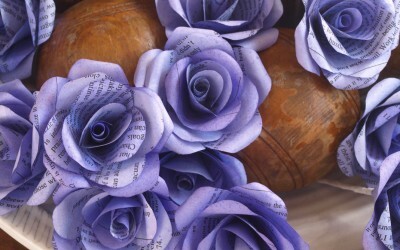 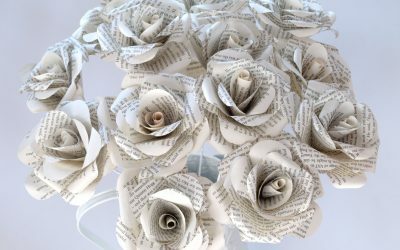 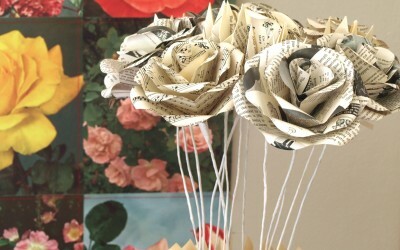 Paper Roses from paper record sleeves! 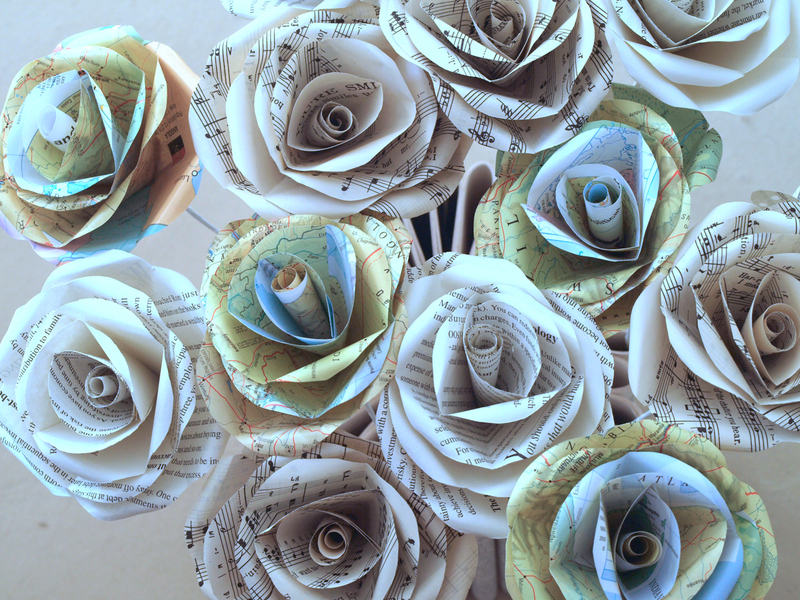 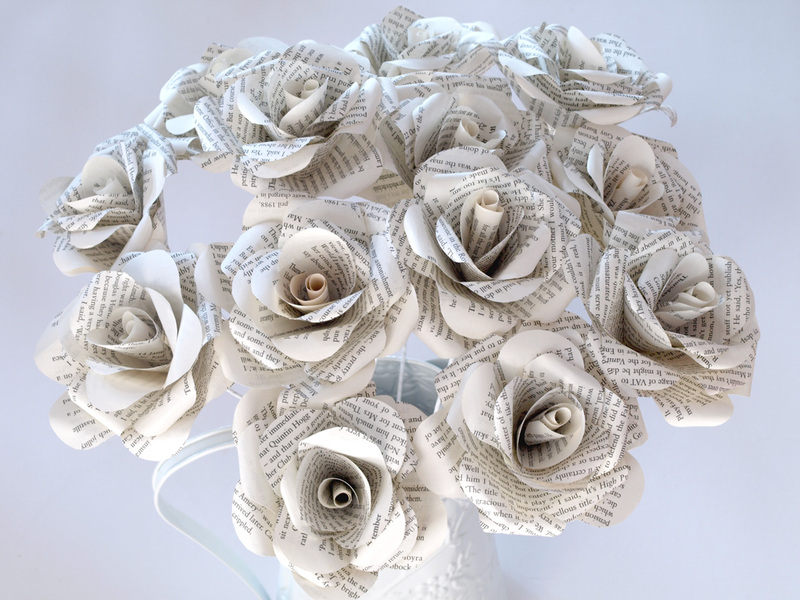 Paper roses are a classic. 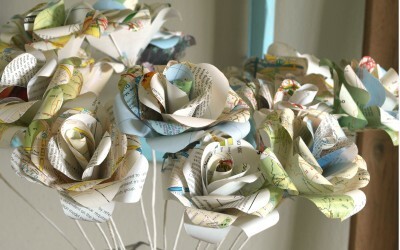 They can be made from plain or coloured paper, book or map print. 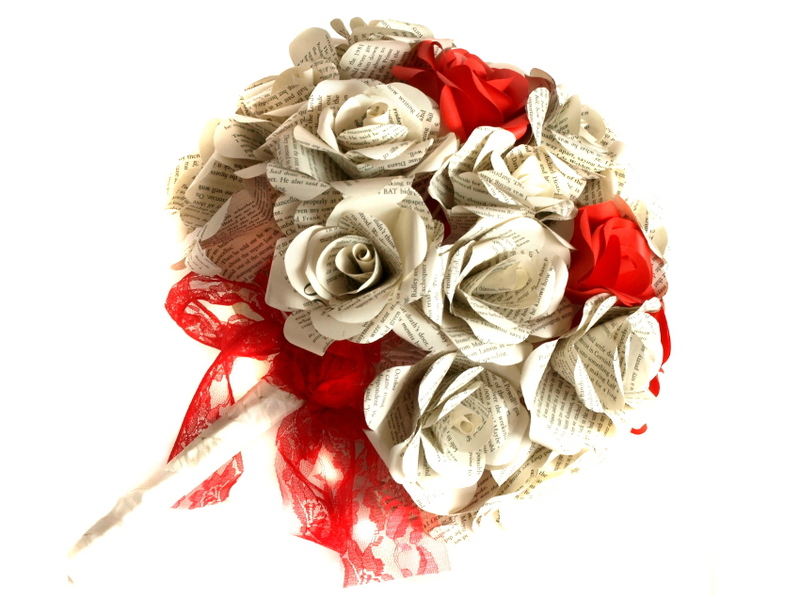 We do a smaller version with a shorter stem for buttonholes. 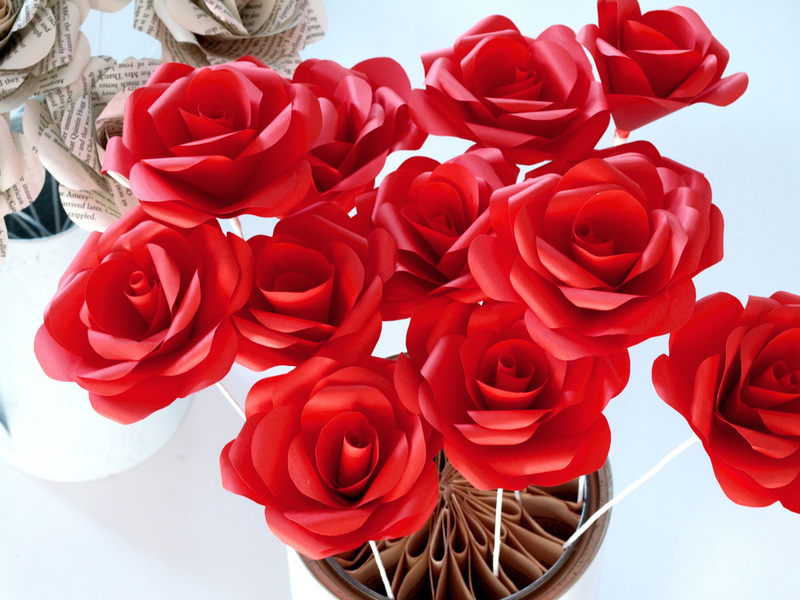 Chat to us if you would like to place an order for your home or event.